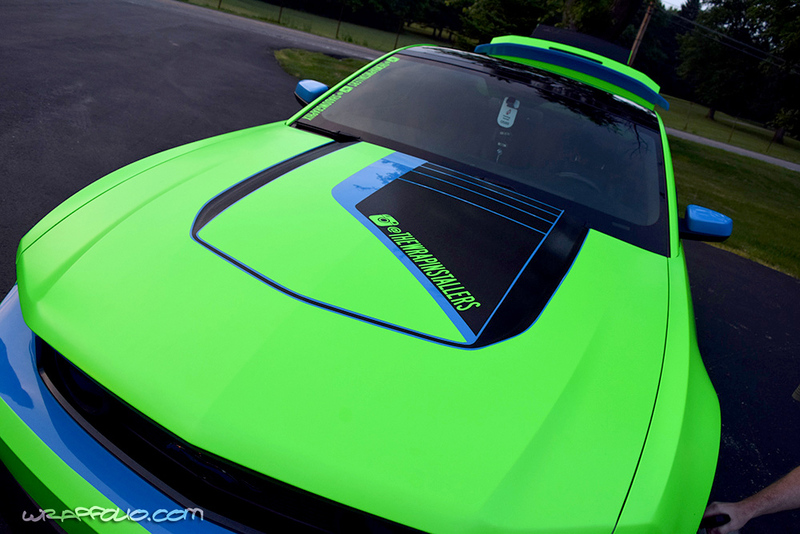 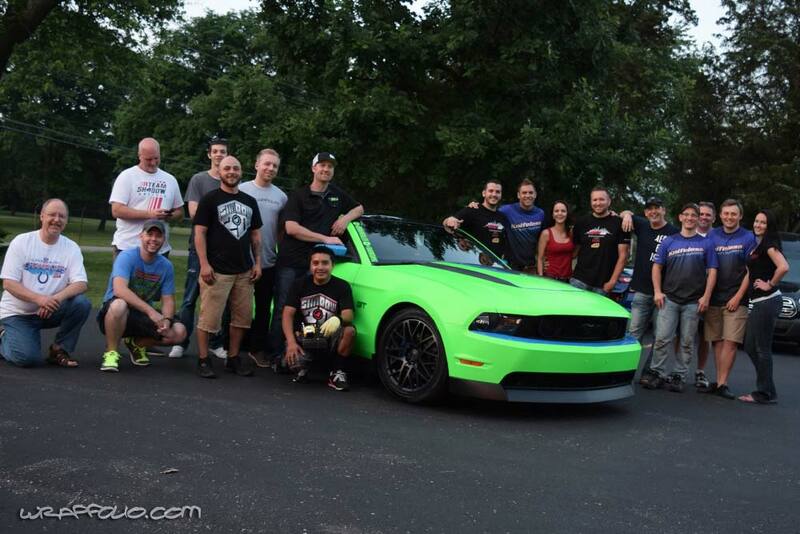 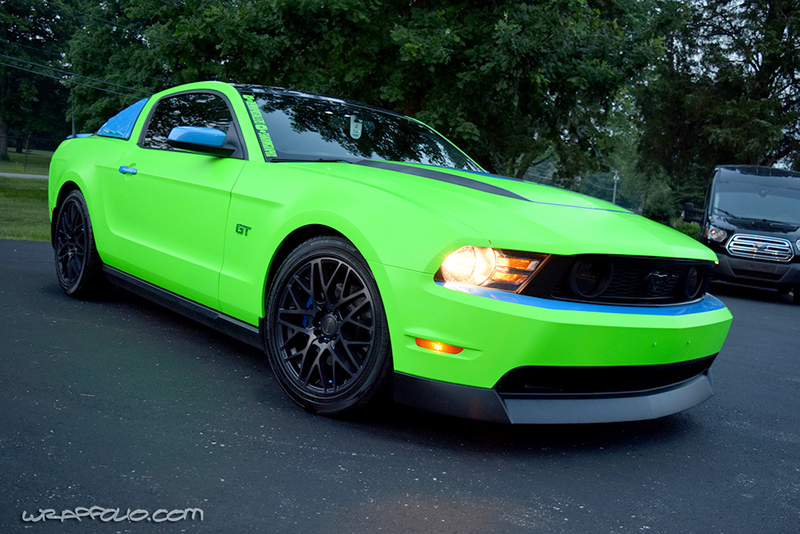 A group of installers teamed up to help wrap @must4n6ate‘s Mustang, winner of The Wrap Installers wrap giveaway. 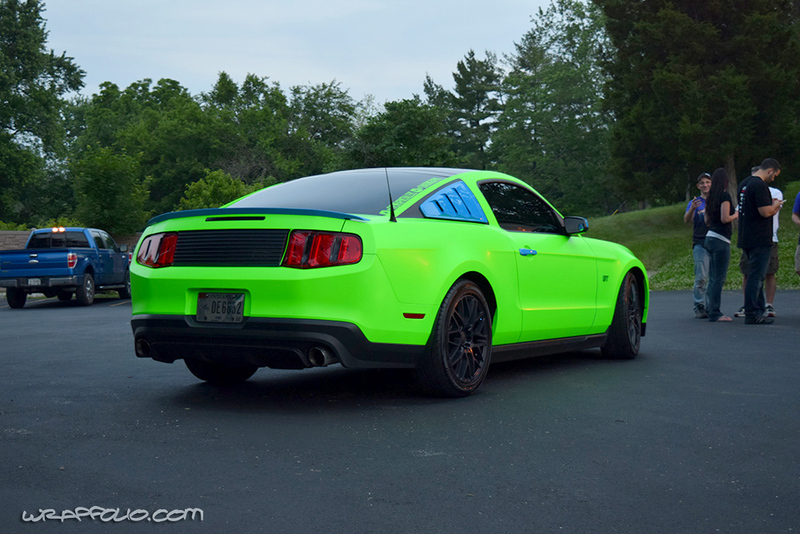 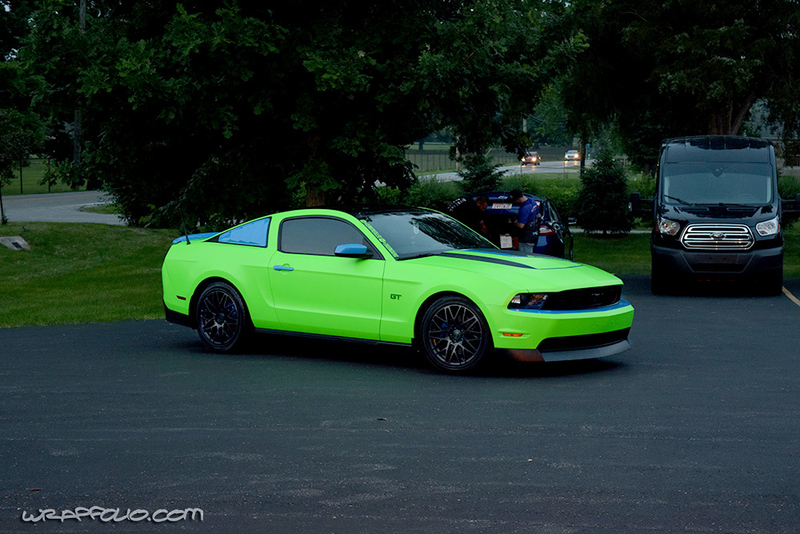 The color is a new Fluorescent Neon Green film from 3M. 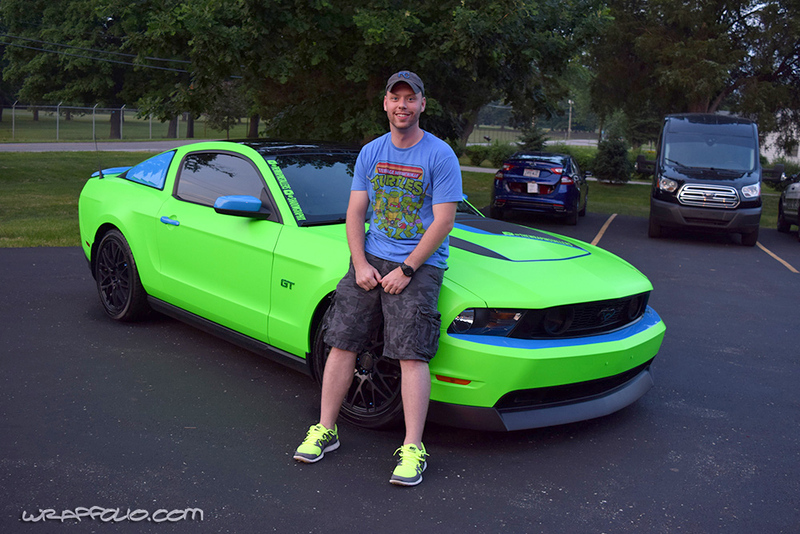 Be sure to check out the full article here.